Here is another great online offer. The Poison Diaries isn't even in stores yet, but Harper Collins has posted it in it's entirety online. Interested readers should check it out soon though as I don't know for how long it will be available. We live in a world full of endless possibilities and opportunities. Countless events take place every moment just outside our view, but just because we do not see these things happen does not make them any less real. What if just outside our realm of knowledge and understanding there was another whole world of life? What if legends and tales of days gone by were true? What if faeries, or rather Pixies, actually were to co-exist alongside our human world? 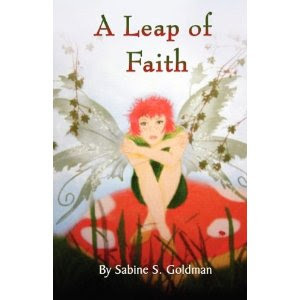 According to Sabine S. Goldman's, A Leap of Faith, such a reality is not so far fetched. Pixies do exist and take up residence in many places within our human realm. And one place in particular that they call home is Windhill Tree. Life in the Windhill Tree should be blissful; but Faith, a fiery sixteen year old Pixie, has never felt like she fit in. Compared to the other Pixies in her home, Faith both looks and acts differently. Unlike others of her kind, her heart desires to explore, and explore she does. But when Faith's father finds out that her love of exploration has been taking her beyond her community's borders to observe the humans he is furious. Not only is interacting with humans incredibly dangerous, it's also expressly forbidden by the Pixie code. After being found out by her father, Faith can't stand to sit around and see her punishment come to pass. She has been told that her lightening ceremony is to be canceled, but a Pixie who goes without her lighting ceremony is doomed. It is at this time only that a Pixie will gain her powers, including the ability to always fly. If she is to be denied her chance at a full Pixie life, Faith can't begin to imagine what she will do. Her interest in humans has always been hard to ignore, but certainly just watching from the sidelines can't warrant this kind of punishment. It doesn't take long for Faith to realize the gravity of her misjudgement. Deep in thought on her favorite red mushroom with white polka dots, she never notices the humans getting closer. 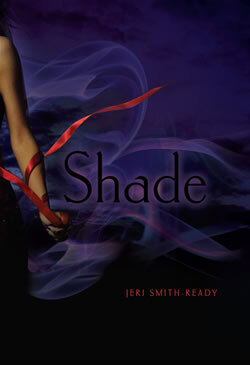 And before she can even realize what has happened, Faith finds herself caught up in the hand of a human girl. This particular girl, Sam, is one Faith has watched diligently over time. Something about her in particular has always drawn Faith's attention, yet now with no space between them Faith understands how serious her miscalculations might have been. Faith's journey doesn't end here; however, I don't want to give away any more of the story or else you won't have any reason to read it for yourself. And that, my fellow bookworms, would be completely unfair to both you and the author. Sabine S. Goldman has done a fabulous job creating Faith's world and telling her story. 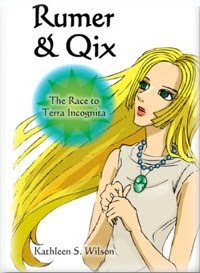 Perfect for any young adult whether this reader has a pre-existing interest in the world Pixies and/or faeries or not. 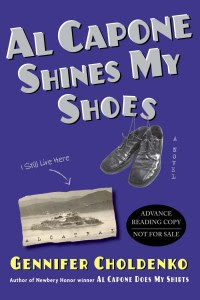 I found the story to be quite endearing, and Faith's lone spirit is an aspect I know many young readers can relate to. Feeling outcast and alone is, sadly, an all too common complaint in today's society, but as readers will discover it does not have to be that way. You are never alone, no matter how different you are. Friends come in all shapes, sizes, colors, and from all walks of life. And if it takes a tiny Pixie to get this point across so be it! I had one small complaint in regards to the story development, but it's hard to be too specific without giving anything important away. I guess the easiest way to explain would be to simply say that I found part of the story's progression about 9/10ths of the way through to be somewhat unbelievable. Based on information given earlier in the book it just didn't fit. The way some of the character's responded to certain events seemed all too easy, like the progression was rushed in order to draw the story to a close. I don't know. Maybe I'm way off base and reading too much in to things. I guess I'll leave that up to you, the other readers, to decide. Despite this minor criticism, I must say it was an absolute pleasure to discover and read this little gem. Infact, my deepest thanks go out to Sabine for allowing me this review opportunity. THANK YOU!! Looking forward to seeing what twists and turns A Leap of Faith- A New Beginning, Ms. Goldman's next installment takes. 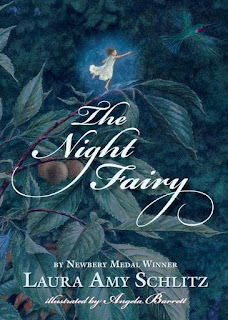 Laura Amy Schlitz, acclaimed author and Newbery Medal Winner, has recently released her new illustrated fiction title, The Night Fairy. Flory, a night fairy, must learn how to survive when the tables are turned and she suddenly finds herself without a wings. A fairy without wings? Nonsense! Unfortunately though, this is not the case. As the author explains early on, fairies do not make good parents. So it is not uncommon at all for a young fairy to be left on her own to make her way through the big, amazing, and oh so very dangerous world. This normally would not be a problem, but for Flory the trouble comes when a little brown bat mistakes her for a moth. It only takes the creature a moment to realize the error of his ways; however, even by then the damage is already done. Flory, barely as tall as a single acorn, finds herself, a night fairy, wingless and alone. Uncertain as to what else she might do, Flory quietly locates a shelter [a giant's bird house] for herself and begins to brainstorm. To be a night fairy is to see and experience such undeniable beauty and awe. Still, without wings the dark of night is very dangerous and difficult to navigate. It's a bittersweet day when Flory determines that despite her heritage, it is now the day that offers her the most likely rewards and benefits- such as food, safety, and survival. With that, Flory renounces her night fairy name, and begins to live as a day fairy. But even the sunlight hours are full of obstacles and dangers galore. Flory must learn to not only live as a day fairy but to survive as one as well. Flory doesn't cater to anyone and quickly comes to the realization that someone as small as herself must learn to demand respect if she's going to get anywhere in life. And a wild temperment is just what the doctor prescribed. Bold and brazen, Flory steps out of the dark and in to the light as a day fairy. Determined to survive, she wastes no time in making the necessary demands of those creatures around her, most specifically Skuggle the squirrel. Despite the fact that he is more than double her size, Skuggle is an easy pawn. His tiny squirrel brain thinks almost always of food. And a hungry squirrel can easily be bought and coerced into doing exactly what one wants. It's not always easy, but soon Flory has Skuggle wrapped around her little finger and is able to travel the garden as she pleases. As she grows, Flory begins to discover she knows more and more magic. All the same, and even with a friend of size on her side, Flory must still be consciencious of her surroundings and never forget for a moment where she comes from. The Night Fairy is compact little book, but the story it contains within its pages is anything but simple. Full of drama and adventure this is the kind of fantasy that leaves the reader envisioning a sequel. The well thought out story combined with the beautiful watercolor illustrations make this short tale almost classical in style. It won't take you long to read it, and I guarantee you it won't just be because of the size. Schlitz's storytelling ability leaves you hanging on the edge of your seat as you root for Flory and her friend(s). You don't want the story to end, but as far as this particular installment is concerned you are left feeling satisfied and content. 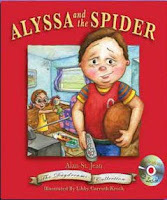 For the author leaves no strings untied, and does a wonderful job of bringing her story full circle. This delightful little tale of fancy is one I look forward to sharing with my own daughters. So thank you, Candlewick, for the review copy and opportunity. It's been a real pleasure! 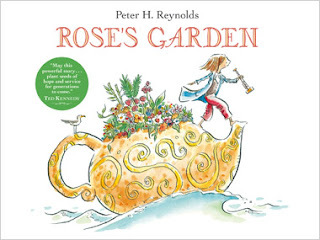 Rose's Garden is an imaginative tale with a beautiful and inspirational sentiment. Written in dedication to Rose Fitzgerarld Kennedy herself, this story is meant to show the resplendent joy that a little hope, faith, and love can bring about. Rose is a wee girl, traveling the world in her giant tea pot. As she travels from one exotic land to another Rose slowly fills her incredible ship with seeds to remind her of each and every place. After a time her grand tea pot is overflowing with seeds, and with no further room Rose sets her sights on a place where her amazing journey can come to a halt. Once she finds a place to dock, Rose sets out to discover just the right spot for her glorious garden. It doesn't take long before she stumbles on to an ugly, abandoned lot just perfect for what she has in mind. Upon returning to her ship, however, Rose is dismayed to find that birds have swooped in and selfishly eaten all but a small handful of her prized seeds. Most people would find such a thing so depressing that all hope would be lost, but Rose is not most people. Unwilling to let a trivial detail such as this get her down, she scoops up the few remaining seeds and heads back to nestle them gently in the dirt. But time and the elements seem to be against Rose. Despite everything she does, her garden just won't grow. As word of her dream spreads, Rose suddenly discovers that she is not alone in wanting to make the world a more beautiful place around her. Children of all ages and color begin coming to her from around the community to share in her faith of a more beautiful tomorrow. Bringing with them colored paper flowers in all brilliant shades and designs, Rose's garden slowly begins to sprout forth before her eyes. It's not quite what she had initially envisioned, yet it's absolutely perfect. 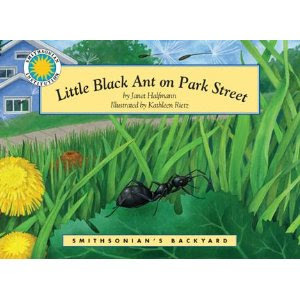 This lovely little picture book tells an endearing story ripe with originality and lots of heart. It's a story that not only inspires you to take in all the beauty around you, but to go after it without holding anything back. Life's an adventure but it can be amazing if you just allow yourself to dream big and never let go of your faith. Prospective readers will take one look at the cover of Flawed Dogs: The Novel and they won't be able to turn away. The comical yet endearing illustration, created by none other than the author, Berkeley Breathed, himself is a true rendering of what readers can expect to find between the book's covers- humor, heart, hurt, and heroics. Sam the Lion started life destined to be a prize winning Westminster show dog, but along the way his plans took a turn for the extraordinary. Freed from the clutches of the horrible Mrs. Nutbush, Sam takes after his rescuer, a young girl named Heidy. An orphan herself, Heidy understands all too well what it's like having no one to lean on and no one to trust in. So despite her initial misgivings about taking him along, Heidy allows herself the pleasure of wisking the tiny dog away with her. It's a match made in Heaven. Heidy finally has someone to love and play with, and Sam has a warm and loving place to call home. And then everything comes crashing down around them. A jealous canine rival, Cassius, determined not to be outdone by the fabulous Düüglitz Dachshund comes up with a plan that'll not only sully Sam in Heidy's eyes but also in the eyes of everyone else they live with. It's a dastardly plan; however, Cassius knows it will guarantee a place in the spotlight for himself. For you see, the large poodle knows Sam has nothing on him in the area of size or strength, yet with Sam in the house there's no room in Heidy's heart for another. Removing Sam from the picture not only clears the way in to Heidy's heart for Cassius, it also ensures there will be one less opponent for him to try to beat at the highly competitive Westminster Dog Show. Nevertheless, Sam is a fighter. He may fall, but he will always get back up. He may break, but he will aways mend. He may lose hope for a time, but in the end he will always charge forward ready to get back on top. It's a complicated tale full of up's and down's. It's also a breath of fresh air. 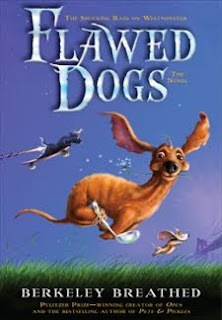 Flawed Dogs offers a uniquely marvelous story that will fill young readers with a need to keep going until that very last page. With a story so cute and entertaining, it's no wonder Berkeley Breathed is a Pulitzer Prize winner and New York Times best selling author. I myself will definitely be checking out some of his other works.